Interview with Rich Ting from Paramount Network's Limited Series, "Waco"
The buzz surrounding Paramount Network's upcoming limited series, "Waco" is palpable and SpoilerTV is beyond thrilled to be conducting an interview with one of the show's stars, Rich Ting! 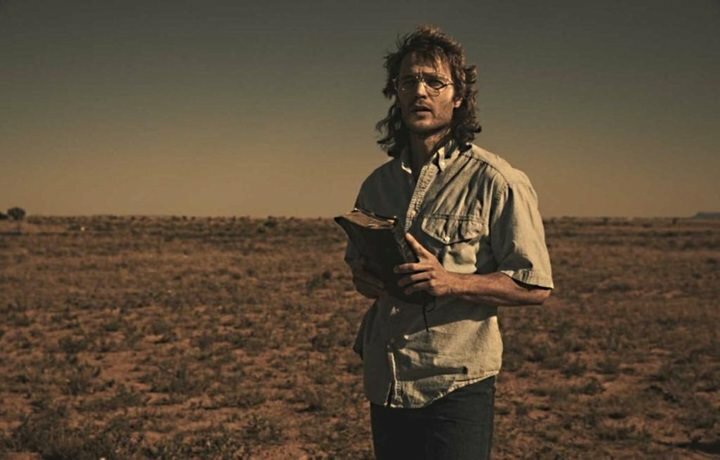 For those who are not familiar with the events surrounding "Waco," the show will chronicle the 1993 standoff between the Branch Davidians, a spiritual sect led by David Koresh, and the FBI and ATF. The series premiered on the Paramount Network on January 24, 2018. Rich, we are so glad to have you joining us for your first interview with SpoilerTV! Your background in acting, modeling, and martial arts is beyond impressive. For fans that are just getting to know you, can you give us a quick background on who you are and what you are passionate about? Hi! My name is Rich Ting, and I was born and raised in Los Angeles, CA. Having been inspired by the legendary martial artist, Bruce Lee, I began my training of martial arts at the age of 4-years old and earned my 1st-degree black belt at the age of 12 years old. I have continued my martial arts training to the present day studying Tae Kwon Do, Jeet Kune Do, Wing Chun, Jiu Jitsu, as well as various weapons, including nunchucks, boa staff, knives, samurai swords, and Filipino escrima sticks. When my family relocated to the Bay Area, I went to high school in San Francisco where I played Varsity football, basketball, baseball, and ran track and field. I went on to fulfill my first childhood dream of playing Division I collegiate football at Yale University where I won an Ivy League Championship in 1999. After successfully graduating with a B.A. in history, I continued my graduate studies by attending law school and M.B.A. school. Throughout my undergraduate and graduate school careers, I trained (as a hobby) at different acting studios as a way of pursuing my childhood dream of being a Hollywood actor. After graduating from both law school and business school, I was coincidentally approached and asked by stunt coordinators in Hollywood if I would be willing to do stunts in some upcoming feature films. With absolutely zero knowledge or experience in the film making industry, I decided to take this challenge as an opportunity to learn and educate myself on set etiquette, film and television culture, as well as just “jumping right into the fire.” I promised myself (and also notified my close friends and family that were in the stunt business) that I would work in stunts until I was able to completely cross over to the acting side of the industry. As a result, I was fortunate enough to work on various major Hollywood feature films gaining and obtaining an immense amount of knowledge and insight about the film making industry. My career as an actor began in Los Angeles, cast for “Lenny” in the TV series, “Beyond the Break” (2007-2009) and “Heatblast” in the Warner Brothers’ (Cartoon Network) feature film, “Ben 10: Race Against Time” (2007). That same year, I was also cast in the feature film, “Deadly Impact” and in 2009, I debuted on the big screen alongside Angelina Jolie in the film entitled, “Salt.” It has been an absolute dream come true for me to be working in Hollywood as an actor, and I continue to live the dream everyday I go to set and perform my craft in front of the cameras. Okay, now that we know a little bit more about you, let’s jump right into the "Waco" questions! On the show, you play Lon Horiuchi, one of the FBI snipers during the Waco incident. How did you prepare for this role? I was cast by director, John Erick Dowdle, as the recurring character of the F.B.I. Hostage Rescue Team (H.R.T.) sniper and former U.S. Army officer, “Lon Horiuchi.” He was the critical sniper that shot Vicki Weaver during the F.B.I. siege at Ruby Ridge in 1992. (In 1997, Horiuchi was charged with manslaughter for the death of Vicki Weaver at Ruby Ridge, but the charges were later dropped). He was involved in controversial deployments during the 1992 Ruby Ridge standoff and 1993 Waco siege. As a result, the series opens with the events at Ruby Ridge and follows Horiuchi’s involvement all the way to the siege of the Waco compound in 1993. Coincidentally, this was my second casting as a true, real life character starring alongside fellow actor, Taylor Kitsch. (I previously filmed with Taylor Kitsch in the feature film, “Lone Survivor,” where I played U.S. Navy Seal, “James Suh.”) In prepping for this real character, I did an extensive amount of research on the personal history of Lon Horiuchi, his accomplishments throughout his post military life, career in the F.B.I. as well as the various geographic locations where he grew up and lived. Thanks to the detailed background and additional information provided by our director and executive producers on “Waco,” I was able to dial into exactly what they wanted to capture on camera in the critical moments at Ruby Ridge and Waco, Texas. "Waco" covers a traumatic and deadly incident in American history. Why do you think it’s important to share this story twenty-five years later? “Waco” is extremely true, real, and overall, convincing. The accuracy and close resemblance of all the characters in the series as well as the actual Waco compound are truly outstanding. I am excited for the fans to see our series as it depicts the critical events prior to and during the entire 51-day siege of the Branch Davidians’ Waco compound. From what I have seen while filming, I believe that the audience will be exposed to a side of David Koresh, played by Taylor Kitsch, that is unfamiliar and untold from the original media coverage. In 1993, millions of people around the world viewed the siege of Waco through the eyes and lenses of the news and mass media. “Waco” provides the viewers with an inside view and perspective of not only David Koresh, himself, and his Branch Davidians but also from the eyes of the FBI, ATF, and local Waco residents. What were some of your favorite aspects about working on the show? Due to the obvious nonfictional and true story of “Waco,” there was a definite serious vibe on set as well as an overall excitement in creating something for the public that has never been told or seen i.e. through the eyes of David Koresh and his Branch Davidians. Our director, John Erick Dowdle, and executive producer, Drew Dowdle, were extremely helpful and insightful on providing the actors, including myself, with specific details about the individual characters, events taking place on our shoot, and their overall vision with each particular scene. Everyone, including both cast and crew, were extremely motivated and dedicated to recreating and capturing on film the actual events that took place from 1992-1993 involving both the events at Ruby Ridge and the eventual siege of the Waco compound. "Waco" features an incredibly talented cast! What was it like working with Taylor Kitsch, Melissa Benoist, Julia Garner, and Michael Shannon? It was an absolute privilege to work with all of our incredibly talented cast on “Waco.” However, it was the second time in my career that I had the opportunity to film alongside both Taylor Kitsch as well as Melissa Benoist. Having played U.S. Navy Seal “James Suh” alongside Taylor (“Sgt. Matthew Murphy”) in “Lone Surivor” as well as “Metallo” in “Super Girl” alongside Melissa Benoist, it is always comforting to have already worked with a fellow actor on any future project. Despite being one of the nicest actors I have worked with (as well as being a “cool dude”), I have always respected Taylor’s range as an actor and truly enjoy being in the presence of such performers as I continue to learn and fine tune my craft as well. One funny story I will not forget when I ran into Taylor (who plays “David Koresh”) at the gym in Santa Fe, New Mexico (where we were filming on location). He was so skinny and emaciated that I honestly believed it was the real “David Koresh” working out on the stationary bike. The accuracy and close resemblance of all the characters in the entire “Waco” are truly outstanding. In addition to your work on "Waco," you are starring in, "Warrior," an upcoming show on Cinemax. This show is inspired by Bruce Lee’s writings and work in martial arts. What can you tell us about your role as Bolo, the top lieutenant of the Hope Wei Ton? The drama is inspired by an idea from the late martial-arts star Bruce Lee. “Warrior” is an action series set against the backdrop of the Tong Wars of San Francisco’s Chinatown in the second half of the 19th century. It tells the story of Ah Sahm, a martial arts prodigy who immigrates from China to San Francisco and becomes a hatchet man for one of Chinatown’s most powerful organized-crime families. Based on the real character and close friend of Bruce Lee, “Bolo Yeung,” I am playing the character of “Bolo,” the universally feared fighter and top lieutenant of the Hop Wei Tong. It has also been an absolute pleasure and privilege to be working with such a diverse group of extremely talented actors. Having actors from all over the world, including Canada, Hong Kong, China, Indonesia, United Kingdom, South Africa, and the U.S., has definitely impacted and influenced the positive vibe and excitement while filming due to the overall diversity, culture, and energy that each specific actor brings to set. You have an extensive background in martial arts and have credited your interest in the sport to Bruce Lee. Can you tell us about the impact of martial arts on your life? Bruce Lee was the sole reason why I began my martial arts training at the age of 4-years old. I remember learning how to play, pause, and rewind my parents’ beta machine replaying and rewatching all of Bruce Lee’s films. I self taught myself how to use the nunchucks, boa staff, various other weapons by simply watching and studying his techniques and style throughout all of his films. Martial arts have always been a significant part in my life. It emphasizes and strives to teach self-discipline, self-control, integrity, focus, commitment, balance, and perseverance. All of these qualities apply to not only the craft of acting but to life in general. My martial arts training established the foundation of not only my biomechanics as an athlete but also the mental, emotional, and spiritual structures of having self-discipline, self-respect, self-control, and perseverance. I believe that with the culmination of both my martials arts training and the morals and lessons established by my parents at a young age, I have been able to stay focused and committed on being not only an obedient and respectful son but also a well-grounded individual. Throughout the various adversities we are confronted with and face in everyday life to our individual careers to our personal relationships, I am grateful and extremely thankful for my parents allowing me to begin my martial arts training at such a young age so that all of these values and foundational qualities could be installed and integrated into my early development as a young child. I believe that these same qualities co-exist and intersect with my training as an actor, and I continue to use all of the tools and techniques from my martial arts background to help me grow and mature as an actor. What other upcoming projects are you currently working on and when can we look forward to seeing you on the screen next? In 2017, I was cast as “Keith Jenloe,” the managing partner of an investment bank, on the CBS TV series, “NCIS: Los Angeles.” I will be returning as a recurring character on “NCIS: Los Angeles” in 2018. I also filmed an independent feature entitled, “Prisoner of Mind,” which will be making its premiere in the upcoming 2018 film festival circuits. I play the character of “Paul Nguyen,” a graduate student at Georgetown University in Washington, D.C., who works as a tour guide for people visiting the National Mall, including the Vietnam Memorial. Unbeknownst to Paul, Vietnam War vet, “Sgt. Matthew Medder,” has been stalking and studying Paul and his family’s background. Sgt. Medder, a Vietnam P.O.W. who was a prisoner in a North Vietnamese prison camp, discovers that Paul is the grandson of the North Vietnamese commander that held him captive. Suffering from severe post traumatic stress disorder (P.T.S.D.) as well as various other mental illnesses, Sgt. Medder strategizes and eventually seeks revenge on his former captor by kidnapping and torturing Paul. The film focuses on the numerous illnesses as well as P.T.S.D. that our war veterans suffer from and experience upon returning home from war. Throughout the intense dialogue and conversations between Paul and Sgt. Medder, it becomes evident that these war veterans continue to require additional medical care and attention throughout their recovery and assimilation back into mainstream society. The film addresses the issues of revenge, hope, forgiveness as well as the impacts and influences of religion, including Christianity. “Warrior” is scheduled to premiere on HBO’s Cinemax channel in late 2018. When you aren’t acting, how do you kick back and relax? In my spare time, I enjoy working out and exercising at the gym or outside at the beach. I believe in living a healthy lifestyle and always dedicate myself to staying in shape and eating well. I love to discover new eateries and restaurants. Last, I absolutely love spending time with my 11-year old teacup maltese, Bada. I enjoy the simplicities of being at home on the sofa with Bada next to me as we watch TV and just chill. Is there anything that we haven’t covered today, that you would like to share with your fans? Even though I have already had the opportunity to work with Angelina Jolie on “Salt” in 2010, it would a dream of mine to work with her again as either a fellow actor or under her direction, as she has been directing more of her recent projects. Besides her obvious beauty and skill, I have come to respect and truly appreciate her more current films that she has directed and developed behind the camera. I think she is an extremely creative and brilliant filmmaker, and I would jump at the opportunity to work with her again in the future. After working with her on “Salt,” I cannot put into words how incredible, professional, and loving she is as a person. I remember telling my mom after wrapping this film, “I now know why every woman wants to be like Angelina Jolie.” I will never forget this memorable time working with her as an actor but more importantly getting to know her as a person. It would be such an honor to say that I have not only worked with her as a fellow actor but have also been directed by her. In addition to my questions, several of Rich’s fans submitted questions for the interview. Rich, did you get to meet or talk to Lon Horiuchi before portraying him in "Waco?" If so, what was that like? You have modeled for everyone from Versace to Armani, which have been your favorite campaigns, and can you share a picture from them with us? It must be exciting filming and modeling all over the world. Where have been your favorite places to work? Is there anywhere you haven’t travelled yet and would like to go? I have had the opportunity to model in various extraordinary locations throughout both Asia and the U.S. However, the most memorable place that sticks out to me in my career as a model is San Francisco, CA. In 2009, I was selected as 1 of 11 top male models in the entire U.S. to model for the Macy’s Passport Fashion Show. Even though we toured this runway event in different cities, the San Francisco show was one of the biggest highlights for me as a model as I returned to the Bay Area, where I had went to high school and where my parents had been living. All of my friends and family members were able to attend and share this incredible honor of being selected as a top model to walk the longest catwalk runway in the U.S. wearing some of the industry’s top international brand names hosted by the late Elizabeth Taylor and actress, Sharon Stone. I will never forget seeing my mom in the audience as she witnessed me on this epic runway stage working the catwalk as one of the top male models in the U.S. I have always wanted to travel to Iceland. One of my close family friends travels to Iceland yearly, and I am always at a loss for words when I see all of her photos and videos of the beautiful, untouched land and environments of Iceland. I hope to travel there someday and see all of this natural beauty first hand. Because I am a hopeless romantic at heart, I truly enjoy watching romantic comedies. If I could play the love interest on a romantic comedy that would be an absolute dream come true. All of my close friends who know me very well always say that I should pursue comedy. I think starring in a romantic comedy would not only satisfy my personal interest but also solidify what all of my friends have been pushing me to do in the my acting career. You are in incredible shape, what is your diet and workout schedule? First, thank you very much for this humbling complement. Honestly, consistency is the key to staying in great shape. I have been weight training and working out since I was in high school and continue to lift weights and do as much cardio as I can whether it is jogging, riding the bike, or swimming. I usually try to do about an hour of cardio and an hour of weight training 5-6 times a week. The most important element, however, is my diet. I try to eat 4-5 meals a day, consuming most of my carbs during the day and eliminating all sugars and excess sodium in my diet. I eat a lot of red meat, chicken, and fish as well as take all the essential vitamins, proteins, amino acids, and probiotics. Rich, thank you so much for your time! We have really enjoyed our time with you and we look forward to watching your work on "Waco," as well as your future projects! 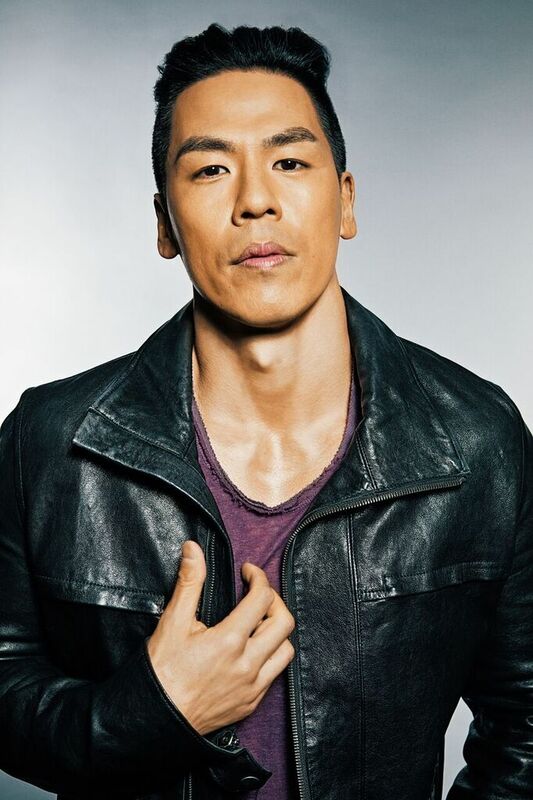 Be sure to follow Rich Ting on Twitter, IMDb, and Facebook!